Geography and population: Albania is a country in the south-eastern Europe on the Balkan Peninsula and spans across an area of 28,748 km ². The neighboring countries include Macedonia, Greece, Kosovo, Serbia, and Montenegro. Its western side is flanked by the Adriatic Sea and the Ionian Sea borders its south-western side. It has a population of 2,994,667 as per 2011 census. Albanians constitute 97% of the population, followed by 1% Greeks. The remaining 2% is comprised of Vlachos, Roma, Serbs, Macedonians, Balkan Egyptians, and Bulgarians. Capital: The capital of Albania is Tirana which is also the largest city. It occupies an area of 16 sq. miles and has a population of about 800,000. It is bound by the Dajti Mountain to the east and the Tirana River runs through the city. 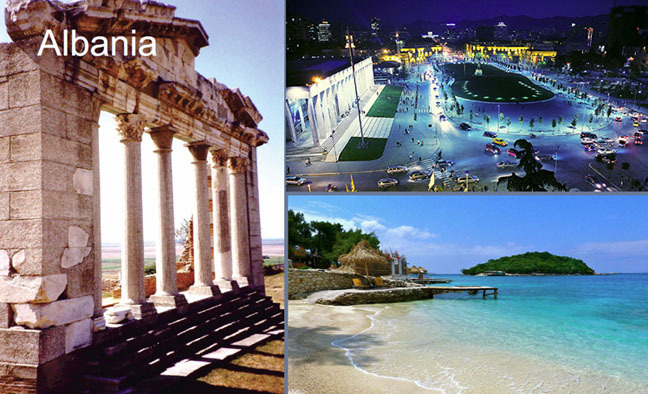 Tirana is the center of the social, political, economic, educational and cultural life of the country. Climate: The climate of Albania is predominantly mild. The lowlands have a Mediterranean climate with cool summers and rainy winters. The highlands however are cold and experience snowfall from November until March. Language: The Language is Albanian. Besides, the people speak Italian and English as well. Religions: The major religions of Albania are Islam and Christianity. In Albania 70% are Muslims, 20% are Albanian Orthodox Christians, and the remaining 10% are Roman Catholics. Currency: The currency of Albania is called Lek and is issued by the Bank of Albania. Frequently used are coins with denominations of 5, 10, 20, 50 and 100 Lek. Similarly, most frequently used banknotes are of 200, 500, 1000 Lek. Society: The country has a strong culture which students are likely to participate in while living here. The strong history here is also a key component and it is evident on everything from the country's architecture to the religious elements present. The countryside is remote and lush. They make for the ideal opportunity for the individual to explore the natural beauty of this area. However, in the larger cities, every modern amenity is available including access to the Internet. “Hëna e Plotë” Bedërwas opened in April 2011. HEI “Hëna e Plotë” Bedëroffers programs of study in the first and second cycle, based on the Albanian legislation. 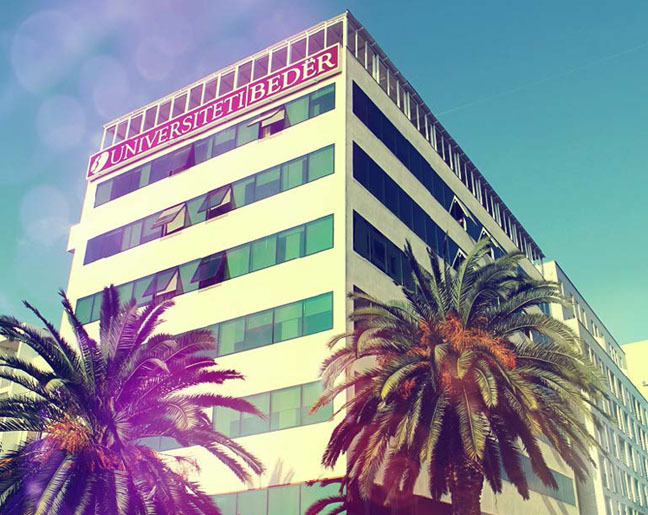 It has two Faculties - the Faculty of Humanities and the Faculty of Philology and Education - and six Departments: Law, Communications Sciences, and Islamic Studies-and Education Sciences, English Language and Literature, and Turkish Language and Literature-offering in total seven bachelor level and fourteen master level programs, as well as a professional master and doctoral program. HEI “Hëna e Plotë” Bedëris a not-for-profit institution, and as such is a new departure in the field of private higher education in Albania, offering support to appropriately qualified students who wish to study at the University. Tirana's 'Mother Teresa' International Airport is located just 30 minutes away from the city. It is served by numerous European flag carriers such as British Airways, Alitalia, Lufthansa, Austrian, and the low cost carriers German-wings, Turkish Airlines and Pegasus. A new, larger and modern terminal was opened in 2007. You can either get a taxi or the bus like “Rinas Express” which then brings you to the city. Montenegro, Netherlands *, New Zealand *, Norway *, Poland *, Portugal *, Romania *, Russia, San Marino *, Serbia , Singapore, Slovakia*, Slovenia *, South Korea, Spain *, Sweden *, Switzerland *, Turkey, United Kingdom *, USA *, Ukraine. (Those countries with an asterisk can enter with just an ID card). HEI “Hëna e Plotë” Bedër does not provide university accommodation for its prospective students. However there are plenty of rooms and apartments to rent in Tirana. The average price for a 1+1 (1 bedroom, 1 living room) furnished/partly furnished flat varies from $150 to around $250. You can share your renting place. For more spacious accommodation places higher fees may apply. Regarding the living expenses you need $150 per month for food and pocket money. For example, with 1000 Lek you could talk within the network with national / international talks+ 2-3 GB internet. Currency used in Albania is the Lek. Hundreds of new ATMs have been installed in most major cities. Use the MasterCard ATM Locator or Visa ATM Locator to find them. The ATMs accept most international VISA and Master card Credit/Debit cards. Many rural convenience stores will not accept any other method of payment other than cash (Albanian Lek). However supermarkets, the better bookstores and the better boutique stores will accept Credit or Debit Cards. Keep in mind it is not a part of the European Union and euros are not accepted here. However, ATMs and credit cards are widely accepted. The most widely accepted cards are VISA and Master card. Students can also convert funds through financial institutions for direct payments. It's best to drink bottled water, but tap water is usually drinkable too. The food in Albania is mostly healthy anywhere you go in the country. HEI “Hëna e Plotë” Bedër provides security services for its personnel and students on campus and all other facilities related to the institution. The security outside the institution is generally good. In Albania you can travel by bus, minibus or taxi. Railway is almost inexistent. Most people in Albania use buses to travel within the city and between cities.